Ghanaian comedian and actor Bismark Nii Odoi popularly known as Bismark the Joke has set the internet ablaze with his adorable daughter, Jayda Afaley Odoi. The “Cheaters” actor shared an adorable moment with her daughter via Instagram and got his fans screaming. The video shows the two goofing around while jamming to Shatta Wale’s trending song, “My Level”. 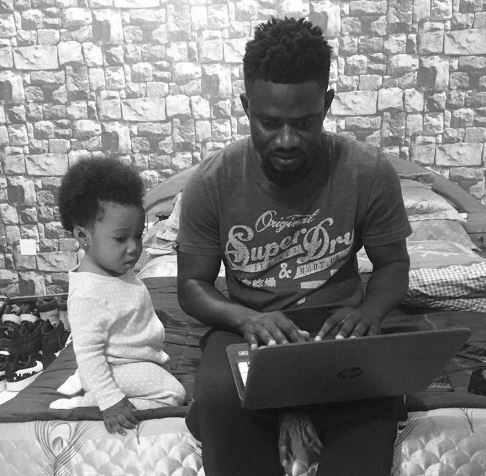 It’s clear – Bismark the Joke knows daddy and daughter goals – that’s why he shared that adorable moment. Jayda Afaley Odoi was seen screaming on top of her voice as she throws her hands everywhere. Her father joined her, and that moment was completely adorable.